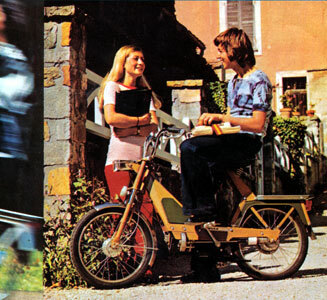 ONE-CYLINDER, TWO-CYCLE ENGINE, 49 CC. 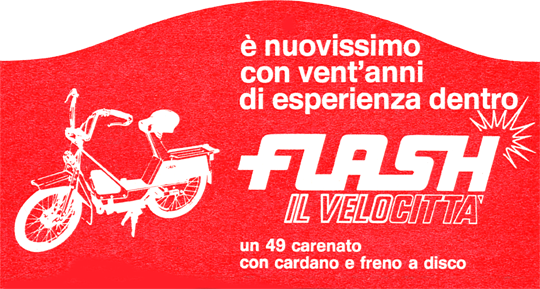 Speed limited to 40 KPH by design. 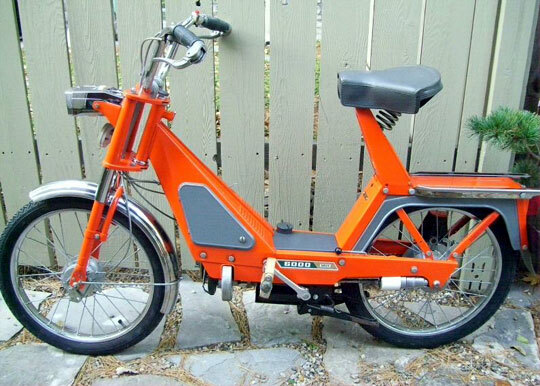 - White, with orange engine covers and body panels. 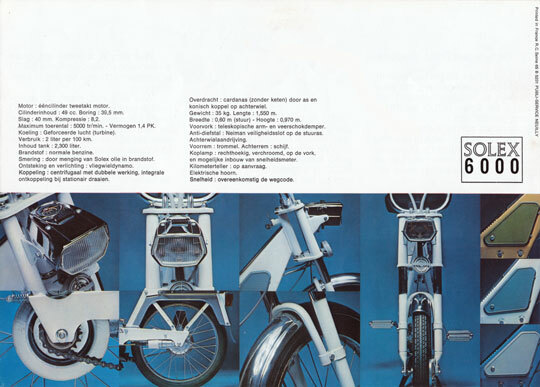 - White, with blue engine covers and body panels. 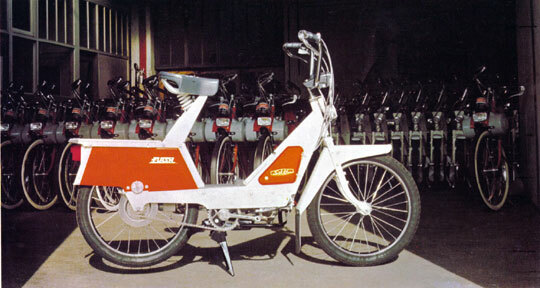 - White, with red engine covers and body panels. 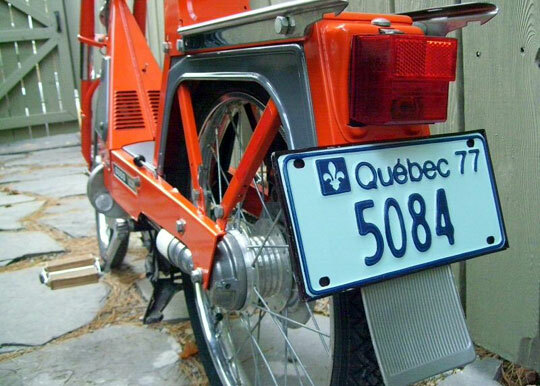 - White, with grey engine covers and body panels. 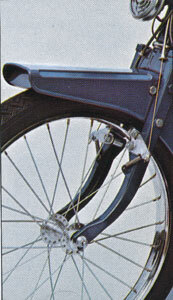 Tires : treaded, 2.0 X 16 in. 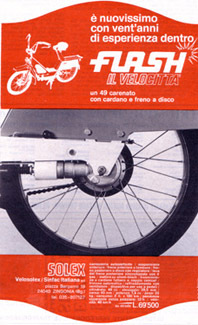 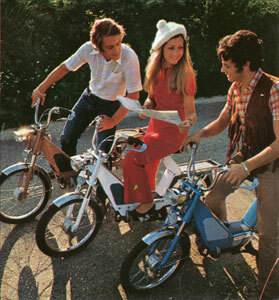 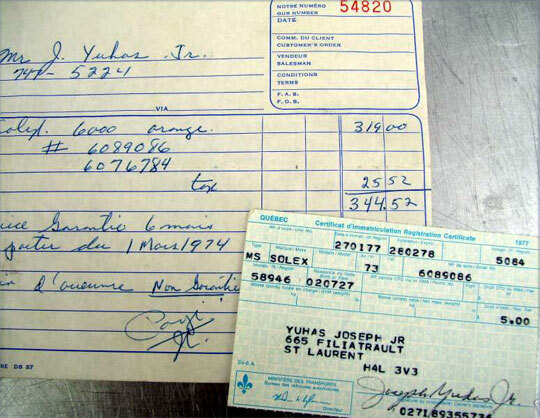 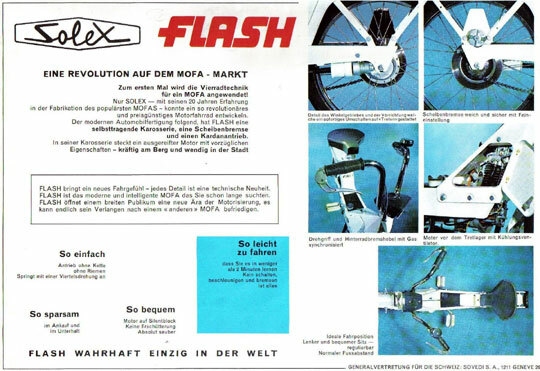 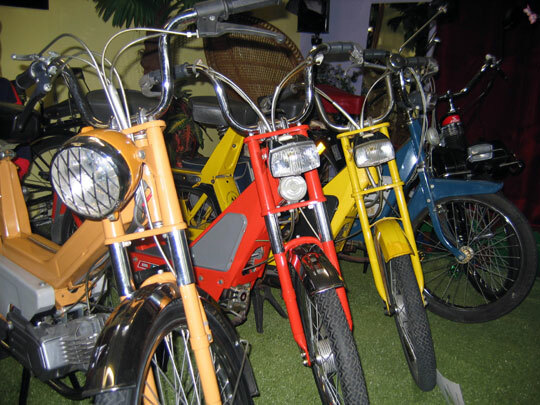 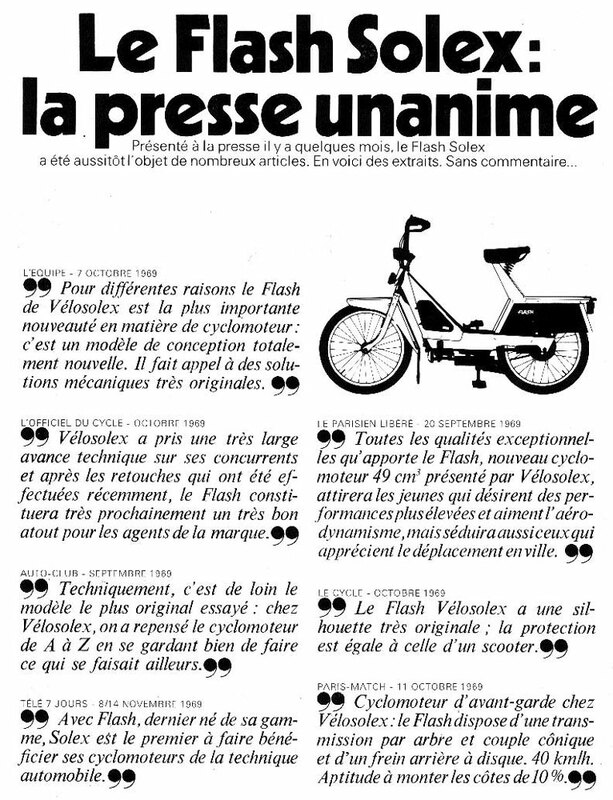 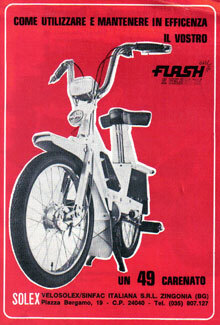 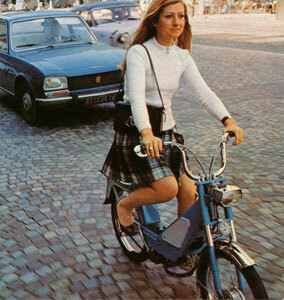 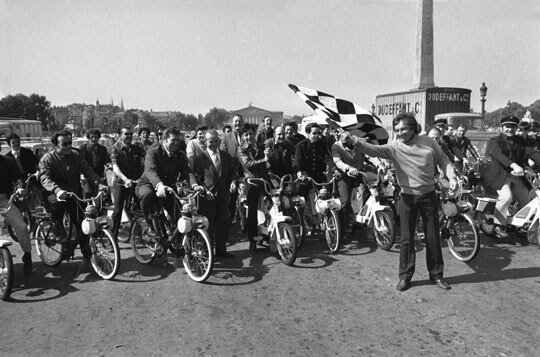 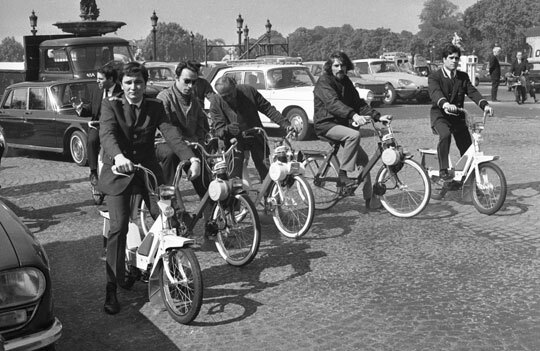 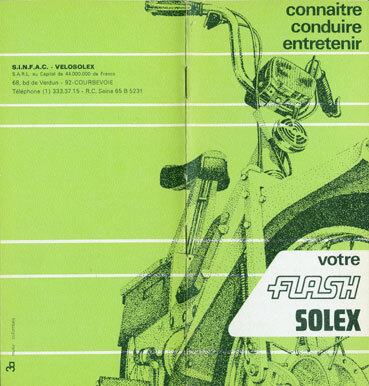 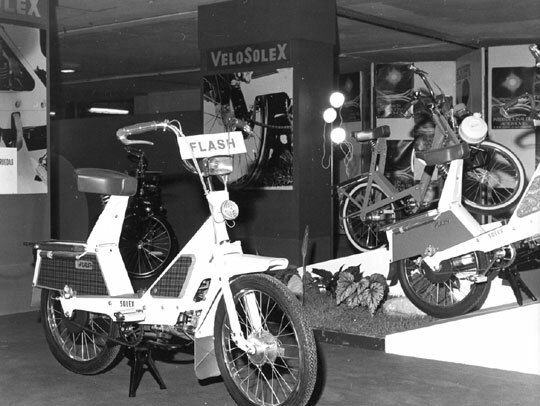 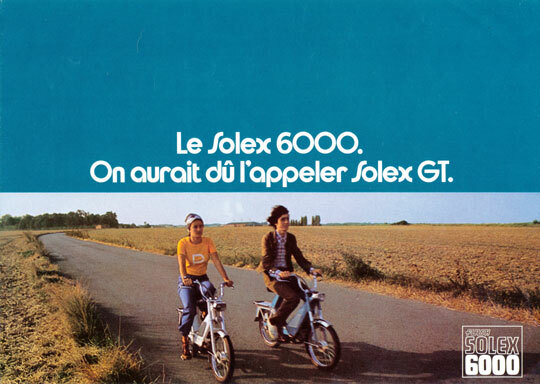 The Solex Flash would first be assembled at the Vélosolex factory in Courbevoie and its production would end during 1972 at the new SEMI (Société d'Exploitation et de Montage Industriel) factory in Mâcon. 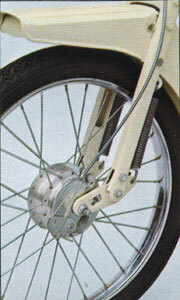 Right : suspension fork (with drum brake). 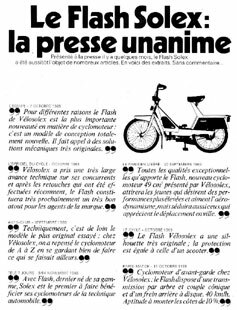 Une révolution dans le cyclomoteur ! 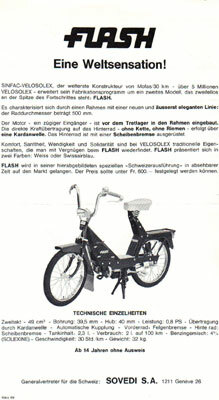 Eine revolution auf dem Mofa ! 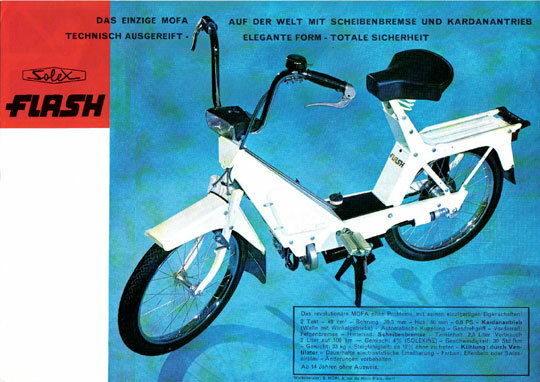 - white / dark grey. 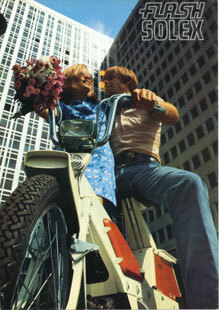 - blue / light grey. 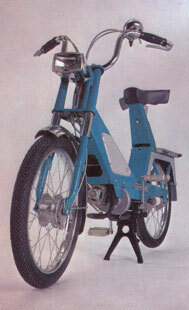 - blue, with grey engine covers and side panels.. 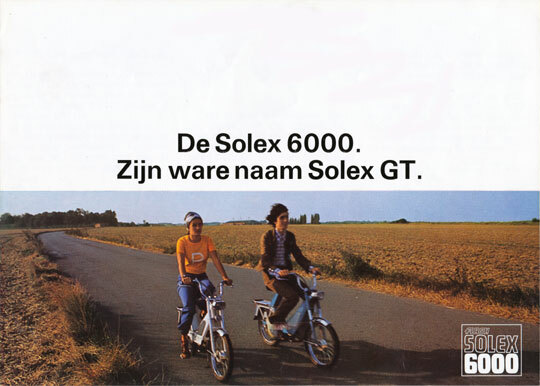 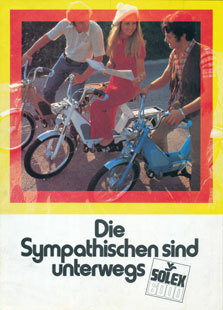 The Solex 6000 with rigid front fork is available in yellow. 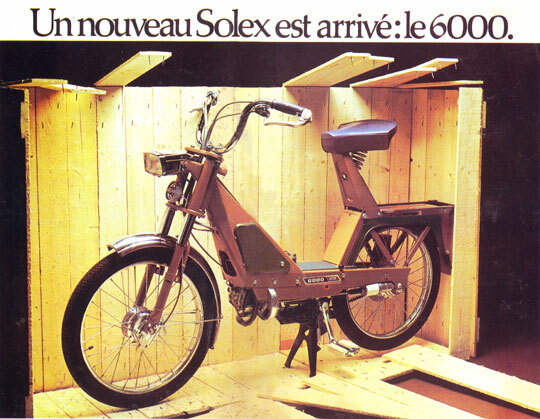 The Solex 6000 is assembled in the new SEMI (Société d'Exploitation et de Montage Industriel) factory in Mâcon.